Who says the camera never lies? John at the barbecue, generously feeding us on my birthday. And a special friend dropped by - a boobook owl flew in for the occasion but turned his back on us when he saw we weren't vegetarians. There seems to be a face in the fire. And that's our friend Mary Jane in the firelight. PICA’s ongoing programs are primarily supported by an investment from the State of Western Australia through ArtsWA in association with Lotterywest, assistance from the Australian Government through the Australia Council, its arts funding and advisory body. PICA is supported by the Visual Arts and Craft Strategy, an initiative of the Australian, State and Territory Governments. first Perth heat of the Australian Poetry Slam! writers and more, the Slam is FREE to audiences. to represent WA in the National Final. PICA is now open to the public on Friday nights till 9pm. With an exciting mix of events on offer, it makes a good start to your weekend! First bulls into the yards. Any calves will be left behind whenthe trucks go off to port. No choppers or fancy motorbikes here ... It's all done on horseback. A very refreshing sight for a cityslicker like me. 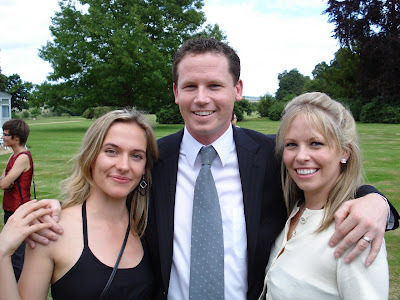 My son Charlie and his wife Becky are in England now for the wedding of Charlie's long term friend, Dave Fewings. 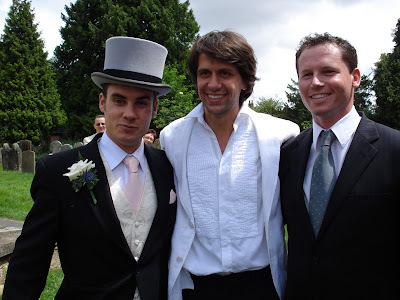 The photos show the groom in top hat, with his mates, Jem Hanbury and Charlie. The other photo shows Marta (Jem's girlfriend), Charlie and Becky at the reception. A sign as you approach a lake in Hangzhou - great sentiment. Highlights from the Venezuela World Poetry Festival, recorded in Caracas. Festival, held in the Teatro Teresa Carreño, in Caracas. and South America to read in front of an audience of 2000 people. The translations are read by Michael Hill and Eugenia Fragos. Dennis Haskell's 'all the time in the world' is published by SALT, as is Tom Shapcott's The City of Empty Rooms. 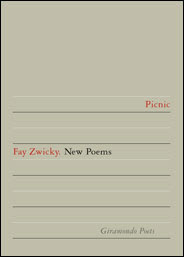 When I was in China, I received an invitation to the welcome party for Fay Zwicky's New Poems, entitled Picnic, published by Giramondo Poets (Giramondo Publishing Company). My novelist friend Brenda Walker also had a title out, which I received no publicity about and only found while daydreaming along the shelves - The Wing of Night (Penguin), a novel about the ramifications of Gallipolli on two soldiers' wives. So, I may be quiet for some days, reading friends' books in the gentle sunshine of mid-winter in Western Australia. Ah, it is true luxury. Mr Chen played erhu, with a selection of well-known Chinese themes and a spirited rendition of 'Click Go the Shears'. The other photo is part of the audience of WOW, on first Monday of July. The readings, plus music, is on every first Monday of the month, up the laneway opposigte Miss Maud's in Murray Street. The doorway is on the left and someone is invariably there to greet you. Time, 7.30 pm. My apologies to anyone who has tuned into this blog recently only to find me 'asleep at the wheel'. I have returned to Australia, travelled via Hangzhou and Hong Kong, to land in Perth almost two weeks ago now. First thing I did was fall desperately ill with food poisoning, and then spent days catching up with family and friends, before picking my wife Jeanette up from the airport a couple of days ago. She is down for the holidays from her Gibb River school (Wanalirri Catholic School). We are now camping at a friend's house, and this evening move next door to housesit until 18 July when we both return to Gibb River. The impact of returning to blue skies, clean air, a gigantic variety of flowers, sane yet fast traffic, and English language (with multi-cultural accents) is enormous. In Linfen, I was truly suffering sensory deprivation on a serious scale. The saddest thing about leaving Linfen was leaving my young Chinese friends - ones who I will probably never meet again in this lifetime. Sadder than sad. I have not cried at many separations in my life but their sweetness and sincerity simply tripped me up emotionally. And then at Hangzhou airport to be greeted by little Sophie waving through a glass panel and kissing the glass was very moving. Tania, Jeff, Sophie and I had a couple of fun days in that beautiful city. The air was clean and the humidity was high but relieved often by gentle showers. The great tourist attraction West Lake was surrounded by amazing gardens - and good coffee stops >g< I once again started my caffeine addiction as we walked from garden to garden. When I did leave there and spend the inevitable hours in Hong Kong airport, I was pleased to get on my laptop and email friends and family with the airports wonderful wireless connection. When I flew Qantas to Perth, I had an amiable companion next to me: Said from Malaysia who now lives in Perth and works in the IT field. We talked for half the journey, slept and watched the usual crap for the rest of the time. My luggage, including an outsize scroll box, was spread over various overhead lockers, so much so that when we landed I had to wait for most of the passengers to diembark before collecting my goods, balancing arms full of items and struggling to the luggage reclamation area. The Customs officers didn't take my word for it and examined my scrolls carefully for dangerous wood products. All was cleared and through I went to be greeted by all three of my children and my two Aussie grandkids! So, I became emotional again, before walking out into brilliant blue skies and clean West Australian air. Beautiful! But something along the track didn't agree with me and I had a severe gastro bout for 36 hours or so. It started halfway through that morning, which meant our family welcome home dinner had to be cancelled and delayed until Saturday evening, a double celebration with my young son Charlie's 28th birthday. I also enjoyed a WOW (Walking On Water) reading on the first Monday night in July. Murray Jennings and Jane Cornes had helped me organise a Chinese musician - Mr Chen on erhu - and Michelle Druart was the other invited reader. The weather was foul - stormy winds, pelting rain, etc. Yet a couple of dozen friends and poetry-addicts braved the elements to hear us read: Kay Cairns, Jenny and Brian de Garis, Glen Phillips, Trisha Kotai-Ewers, Dennis Haskell, Janet Jackson ... and others. I apologise if I have left your name off the list! Let it be known that I didn't go overtime and kept my intros to manageable length >g< China has bred a new humility in me. The biggest news on my return was the re-branding of FACP as Fremantle Press. Goodonya, Ray Coffey and Clive Newman. You've been away from the asylum for some years now ... The new image also heralds a wider marketing aim for the press - more as a General Publisher than a Literary Publisher. We will see how that shows itself in coming months, but all Australian writers and readers would only wish Freo Press well. It has been a tasteful and vibrant press for many decades in this fast growing town, so we all wish them well for the future. I will address the new books I have bought tomorrow.